Looking for a place that’s ‘off the chain’? Bossier is home to delicious eateries you won’t find anywhere else in the country. These locally owned shops attract customers for their savory eats, tasty drinks and overall customer experience. Years ago, Tracy Porter was searching for a place to eat a fresh, healthy lunch in Benton. She knows a thing or two about the restaurant business, dedicating half her life to it. 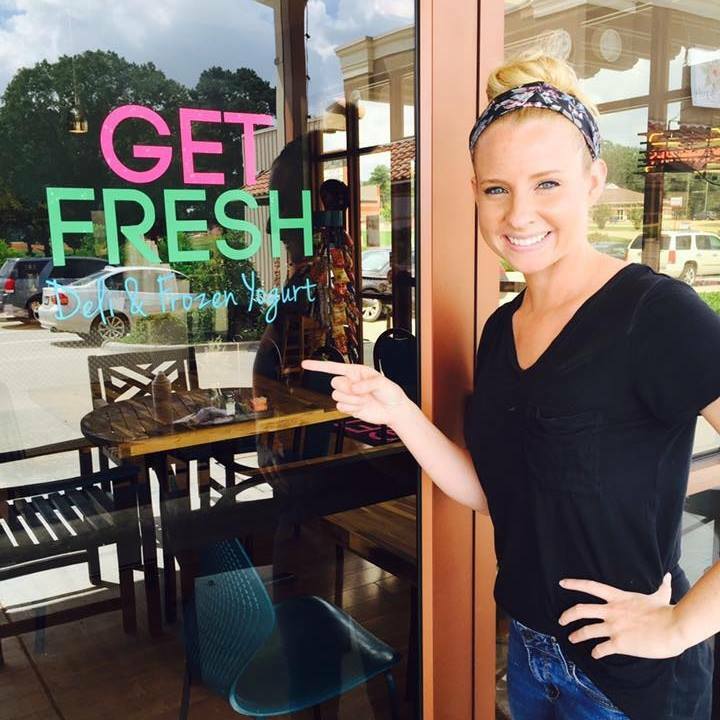 When she didn’t find what she was looking for, Porter opened Get Fresh Deli in November 2015 with hopes of making it a fun place to find a good, healthy meal. The menu ranges from specialty sandwiches, wraps, soups, salads and desserts. The most popular sandwich, hands down, is the Reuben, a mound of corned beef on rye bread with sauerkraut, Swiss cheese and their homemade dressing. Then there’s one called the Mayor, named after former Benton Mayor Wayne Cathcart. It’s a roast beef sandwich topped with provolone cheese, horseradish mayo, grilled onions and a side of Au Jus. Other favorite sandwiches are the turkey melt and the turkey avocado BLT. A pairing of their savory soups completes a lunchtime treat. Favorites are the potato soup and the chicken enchilada soup. Get Fresh Deli is also known for their salads. 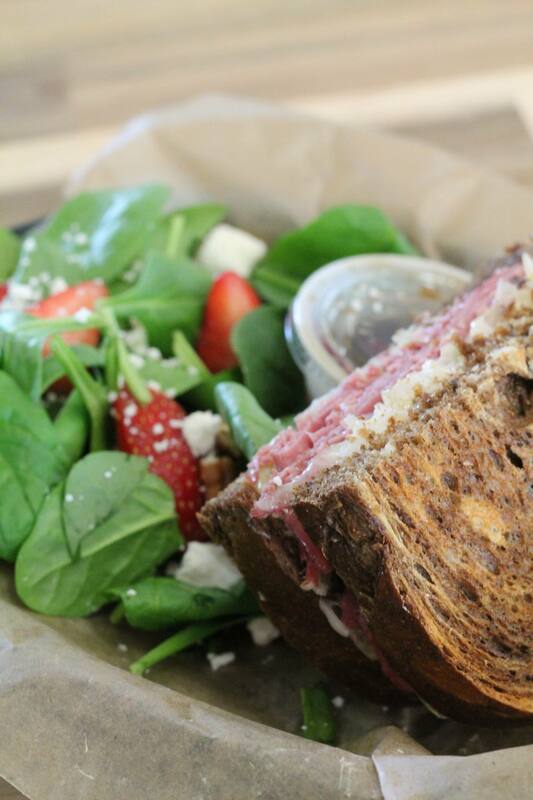 Top seller is the strawberry bliss, which is a bed of spinach leaves topped with pecans, feta cheese and strawberries. They also offer a classic Caesar salad, taco salad and chicken salad salad, which is romaine lettuce topped with homemade chicken salad, pecans, feta cheese, tomatoes, avocado and your choice of dressing. Prices range from $4.99 to $7.99, with the option to add chips, side salad or soup and a soft drink for an additional charge. There’s also a Pick 2 option, with options for a half sandwich, soup or side salad, for $6.99. During the warmer months, Get Fresh Deli offers frozen yogurt and a topping bar of all things sweet and tasty. Not only does Porter take pride in her menu, but in her staff as well. Get Fresh Deli, located at 187 Burt Blvd. Ste. E in Benton, is open Monday through Friday from 11 a.mm. to 7:30 p.m.; Saturdays from 11 a.m. to 3 p.m.; and Sundays from 12 p.m. to 3 p.m.
For more information, check out their Facebook page at www.facebook.com/getfreshdeliandfroyo.